They also want to continue advocating against unpaid internships, sexual harassment on campus, and tuition hikes. 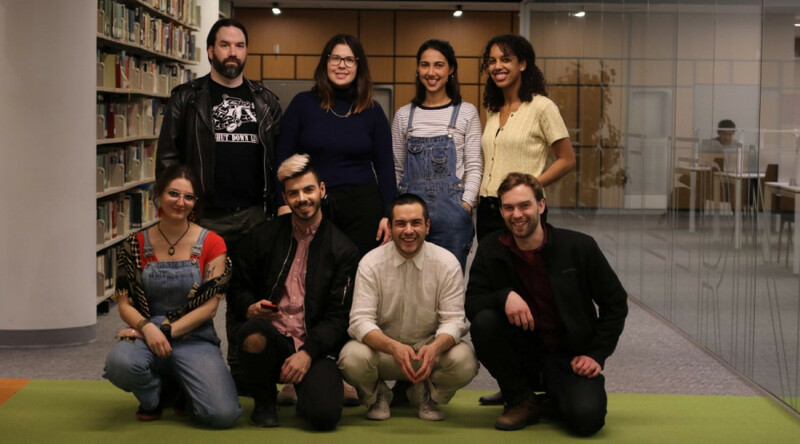 A large part of their platform surrounds their plan for an non-for-profit and co-op incubator, but the New Community candidates also feel that the Concordia Student Union has been lacking accountability and visibility. General coordinator candidate Marcus Peters stressed that he wants to see the union centered around the students again, and wants to ensure mandates are respected and meaningful projects are put forward. “[The CSU] lacks vision as to where [it’s money] should go and that’s a large part of what motivated the team to come together and we want to see that change,” he said. External coordinator candidate Nicholas Chevalier said that we live in a time of crisis, emphasizing the climate crisis as he has been involved in several sustainability and divestment campaigns. He said that through New Community’s vision would he hopes to reverse some of the effects of capitalism and bring people hope. Councillor and life coordinator candidate Sam Kaizer emphasized a desire to make school more accessible to low income students and international students. Jessica Avalos Salas said she didn’t like what she saw at a CSU council meeting about SEIZE’s proposal for a fee-levy, one that was later shot down by council. She said she didn’t like the way decisions were being made and the animosity she perceived. This led her to want to do something different and get involved, which is why she’s running on New Community’s slate for academic and advocacy coordinator. Avalos said she wants to work one on one with students and the public to make a change. She wants students to be able to take advantage of the CSU’s services.